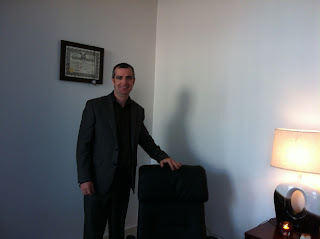 Part of the services that I provide, is giving suggestions to clients whether in or out of the hypnotic state. The suggestions that I give to a client are not suggestions that actually come from me, but rather from the client. The client comes into my office and pays me to make the required suggestions needed, helping them to achieve success, whether that is to stop smoking or to increase confidence. But did you know that we are all giving each other ‘suggestions’ that influence each other every day of our lives? For example if you have ever gone on a holiday and come back and told a friend that it was an “amazing place to visit”, your friend may go on the same holiday sometime in the future. This is called a positive suggestion. On the other hand, if you came back from the holiday and said to your friend that the holiday “was a nightmare”; then would that friend go to that place? Probably not, right? Because you have just given them a negative suggestion! Also, if you have ever encouraged a friend or family member that they “will really do well in that exam” then congratulations you may have influenced a positive outcome. Oppositely if you said something like “that exam is really hard, I don’t envy you” …well…you are hardly filling the receiver of that message with confidence. When giving suggestions, it is important to tell people what you want rather than what you don’t want. Let’s say your children are playing outside in the middle of the road and you are concerned, so you shout at them “Don’t play on the road”. Unfortunately if you looked outside ten minutes later you would probably find the children playing on the road, the very thing they were told not to do. This is because when the mind processes the information it doesn’t pick up the word ‘Don’t”, so they would have heard “Play on the road”. It would have been much more effective to say “Have fun playing in the garden”. Direct suggestions are suggestions that are delivered in such a way that there is no chance of it being misunderstood. “You are going have a great holiday”. An indirect suggestion is a suggestion delivered with an implied meaning. Delivering indirect suggestions in an effective manner can eliminate the possibility of resistance to a suggestion. For example “I went on that holiday before, I had a fantastic time”. Big businesses use indirect suggestion all the time. An advertisement with a beautiful woman sitting on the bonnet of a car might suggest that: drive this car - have this woman. Maybe that is an obvious one, but corporations like MacDonalds use ‘indirect suggestion’ in a more subtle way, whether it is with ‘Clowns’ or ‘Happy Meals’. My wife is expecting our first baby soon! Exciting times, so I have been touching up on some effective suggestions for childbirth. For example if the well intentioned mid wife says “Are you in much pain?” or “You don’t look uncomfortable yet!” or “How bad are your contractions?”, it is best to rephrase such potentially negative suggestions to “How comfortable are you?” or “We’re going to help you increase your comfort”. The word ‘pain’ creates and supports negative responses. Re-framing-Changing the word ‘pain’ to ‘comfort’ helps to deter negative automatic reactions. I always advise clients that if they follow my instructions and accept my suggestions they will experience success. The subconscious mind is like a sponge and once the suggestions are accepted wonderful positive changes will occur, whether it is to happily live the non smoking life or establish a new found confidence. 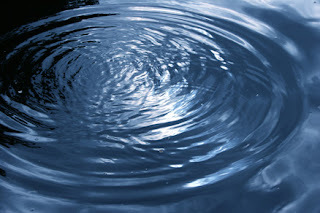 Hypnosis is a great tool for helping people of all ages make change. It's a natural process, where old unwanted behaviours can be removed, new positive behaviours can be adapted and new choices can be made. It provides experiences and solutions that empower people to meet life's challenges. It can really help ‘wipe the slate clean’ and see things with a ‘new perspective, so that anything that has become stale over years for you will no longer be stale, but fresh, like seeing the world with new eyes! Hypnosis is a very common occurrence. When your mind and body relaxes and the outside world seems to fade away then that is the hypnotic state, e.g. daydreaming. So it's similar to becoming absorbed in a good movie or good book, or even when taking a long drive and you drive the car on auto-pilot. Hypnosis is a feeling of peace and calm, where you can concentrate and focus and tap into your Subconscious Mind to program yourself ‘automatically’ in many positive ways. Yes. The truth is that all hypnosis is self-hypnosis and it puts you in control - so that you can control your thoughts and emotions rather than them controlling you. It's very empowering and when you leave my office you will leave with some tools and techniques to help you on your way. I cannot make you do something you do not want to do. Who do you help and what services do you provide? Consulting hypnotists like myself help regular everyday people with regular everyday issues using hypnotic techniques. You can quit smoking, increase confidence, increase self esteem, eliminate fears, control weight, reduce stress, enhance sports performance, enhance concentration, improve exam performance, control anxiety and panic attacks and much more. If you come to my office wanting to make change, follow my instructions and accept my suggestions, then you will leave having made the change you came to see me for. However, if a person comes to my office half hearted, not following instructions and not taking responsibility, then that person will have limited success. But when you think about it that is the same with anything in life - For example if I wanted to learned how to swim, and I didn't follow the instructors instructions and was half hearted, then I probably wouldn't become a very efficient swimmer....infact I would probably sink. However thankfully most people that come into see me commit to the process and achieve success. It depends on the person - no two people are the same it can take longer for some than others, even though everyone gets to the same successful destination. It also depends on what the client has come to see me for - for example my stop smoking program is two sessions, whereas my weight control program is four sessions. In my opinion a session with a Consulting Hypnotist is something that everyone should do periodically. While I definitely recommend members of the general public coming to see a Consulting Hypnotist when dealing with a special specific problem, I also think they should should consult me at other times. Going to see a Consulting Hypnotist should be as normal an activity as getting a physical, having ones teeth cleaned, having a monthly massage or getting periodic chiropractic treatment. Hypnotism is a wellness treatment as well as problem solving treatment. After the client has achieved his or her goals, there is a benefit in ongoing work with a Consulting Hypnotist to maintain motivation, encourage further progress, and to reinforce the benefits achieved. Just as no one ever says that they've had too many massages, no one can have too many hypnotic sessions either. Everyone needs to relax and stay positive. I can help. Hypnosis is a safe, effective and life changing experience! Call me now on 0868211677!